I'm reading this post --> http://worldsim3d.com/Forum/index.php?topic=4.msg1831#msg1831 with google traslate, because this problem was mine in my BSP_Loader. In My proyect, did read full of elements, but nothing for shaders. Shaders is read by "wgetmesh" command automatically, but nothing is showed on screen. BSP wgetmesh command, look first for JPG extension, then TGA extension, if nothing of this exists in directory, then goes for "media/script/sfx.shader" (is part of quake 3 arena, into PK0.PK3), "wgetmesh" read this file (sfx.shader), but nothing more is done, no shader or textures from shader are loaded, and this texture is empty, with a big hole. 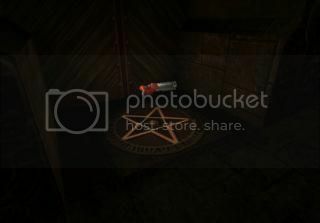 Example: in CASTLE.PK3 (castle.bsp map), shader for pentagram named "textures/sfx/largerblock3b3x128_pentred" is looking into directory. If texture exists (on this dir --> textures/sfx/largerblock3b3x128_pentred.JPG" (note for extension), wgetmesh read it, and put on screen: example WITH and WITOUHT texture "largerblock3b3x128_pentred.JPG"
The big problem, is for original IRRLICHT 1.8, that not read Shaders contents, only read file from "script/sfx", but not textures into. 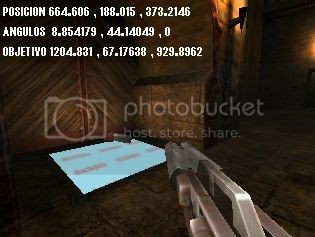 Maybe, IRRLICHT 1.8.3 be able to load full shaders information, and then, we have full Quake 3 BSP loader maps. Is very difficult to explain this in english for me, sorry. 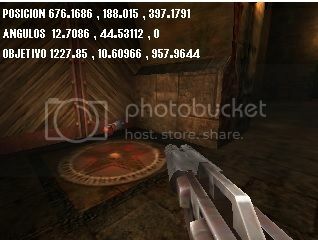 did probe the new IRRLICHT 1.8.3 with example "21.Quake3Explorer.exe", and it read shaders good, from file "sfx.shaders". it's possible to use IRRLICHT 1.8.3 into WorldSim3D? I think, nikolas wil give you a better answer, because it was he who dealt with the matter (I PM-ed him). Did read Irrlicht 1.8.3 manual, and the command for read shaders from BSP quake 3 map style is "addQuake3SceneNode". Currently in version 0.9.5 there is no support for Quake shaders. We have successfully implemented support for Quake shaders in WorldSim3D until the testing phase. Very soon we will release version 0.9.6, where there will be full support for shaders (like Irrlicht). In addition, we introduce many features that will allow you to read the BSP-map for entities. A very useful addition. Here is a screen capture showing Q3-shaders in WorldSim3D! PS:Full support for BSP maps with shaders and there is a version in Irrlicht 1.7.3 and in the older earlier versions. Ok, waiting for the new release!! !